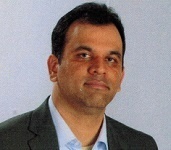 Rakendu Devdhar is Director of Product Management for Dialogic where he is responsible for roadmap and product strategy of Dialogic’s PowerMedia media processing and WebRTC portfolio. Rakendu was previously Director of Product Management at GENBAND where he was responsible for DPI, femtocell and SBC solutions. Rakendu has over 16 years of experience in the communications industry in strategy and product management including previous roles with Nextone, Cisco and Siemens. Rakendu holds an MBA from Santa Clara University and MS degree in Electrical and Computer engineering from State University of New York, Buffalo.